Today kicks off Red Ribbon week and students and faculty will wear red to show their commitment to not doing drugs. During lunch there will be a RRW table set up as a photo booth. Students will also receive a commitment sheet and a bracelet during their second period class. 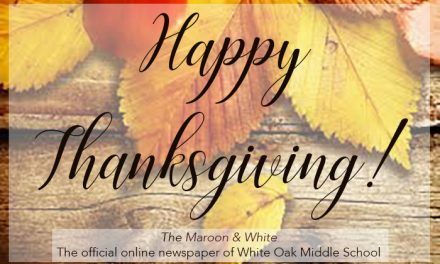 Students who get the sheet signed by their parents and bring it to school on Tuesday will get the opportunity to be in a drawing for prizes. Red Ribbon Week (RRD) is in honor of DEA agent, Enrique Camarena, who was undercover in Guadalajara, Mexico where he was kidnapped and killed. His death angered parents and youth across the country so they began to wear Red Ribbons to symbolize their commitment to raise awareness of all the destruction that drugs cause in America. Student Council has set up activities for students throughout this week to remind them why they need to stand strong against drugs. 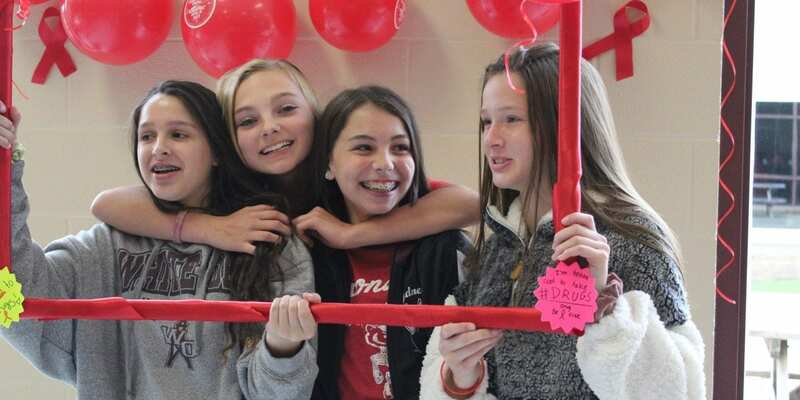 Signs and red ribbons can be seen throughout the middle school as reminders to be drug-free. “We made posters for the activities at school and if there is an announcement to make we make it. 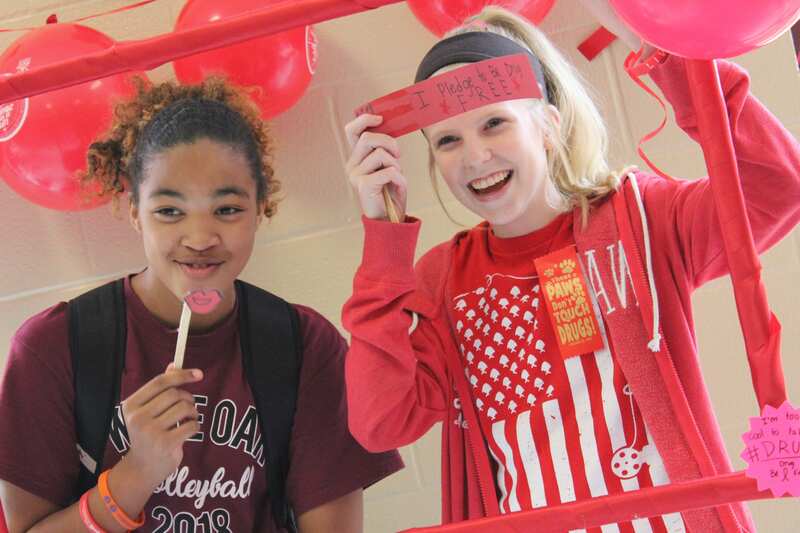 This makes Student Council fun to be a part of,” Kayleigh Woodard said. Tuesday activities include dressing up as nerds to OUTSMART drugs. During lunch members will give out literature and have a banner for the students to sign on Tuesday and Wednesday. The treat for the day will be a dum-dum telling the students not to be dum-dum and do drugs. Wednesday is twin day so we can DOUBLE UP against drugs. StuCo members will draw for prizes during the announcements and students will receive a red ribbon to wear for the day. Students will TEAM UP against drugs and wear a team jersey on Thursday. Drug free team tattoos and literature will also be available during lunch. The treat of the day will be a sticker from the students second period teacher. 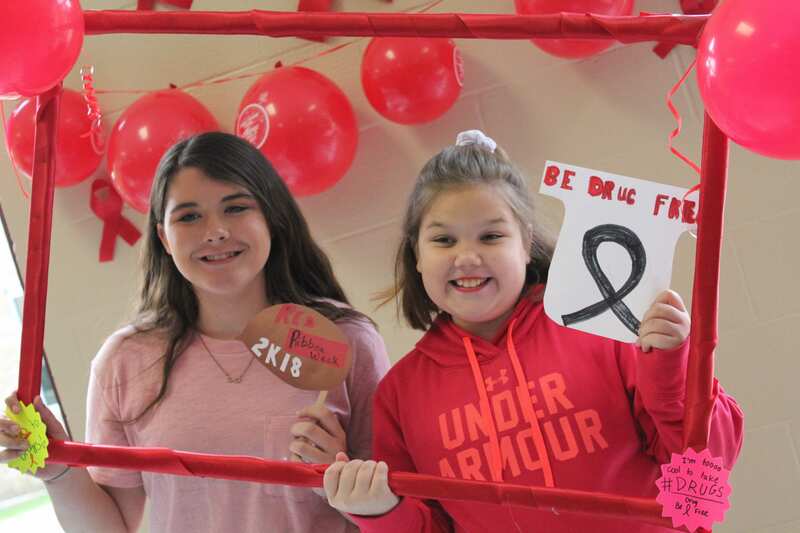 “Red Ribbon Week is important because we need to educate and raise awareness for our kids so they understand how detrimental drugs can be to their lives,” ELA teacher Mrs. Jody Velde said. The last day of the RRW celebration dress up will be to KEEP YOUR DREAMS ALIVE by not doing drugs. Students will dress up as their future and there will be a slideshow of students from the weeks activities. The daily treat will be a pencil from second period class. “It (Red Ribbon Week) educates our students about drug prevention and it is also in remembrance of Enrique Camarena,” Alexis Henson, vice-president of Student Council said. This weeks celebration is an annual occurrence and has been a tradition for 33 years.